We all sometimes stand at the bottom of a huge building and looking up. So many people live their life at the base of those steps. We usually stay at the bottom, staring up at the PURPOSE of life, never actually beginning to make the climb. Might be possible many of us plan to do it but the timing’s just not right. We have so much going on right now, and the steps to our purpose are just so big. The truth is we’re scared. When we’re at the bottom of those steps STARING UP, everything around us is over the head. Climbing up to the top most floor without stop is considered an extreme effort, and there are only a few stair enthusiasts who would be up for that kind of challenge. But when we start to climb, all of a sudden, we have a different perspective. Before we know it, things are under our feet. 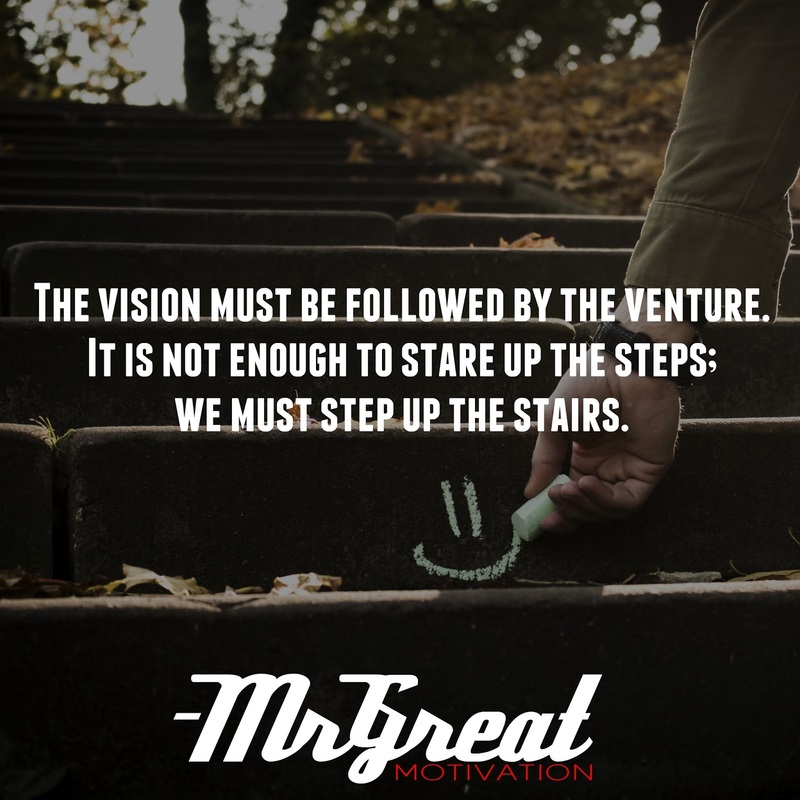 Our vision becomes clearer with every step. The horizon comes into view. We can even see where we used to be, and how far we will reach. 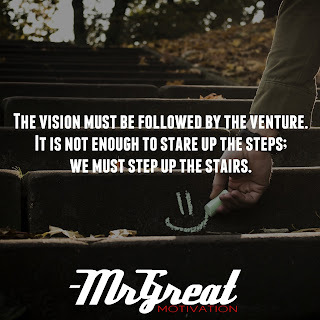 So don’t just stare up the steps. STEP UP THE STAIRS. Do it Now. Stay Motivated.